When will Boomers' nest eggs crack? LTC costs could break 10 percent after 22 years, EBRI estimates. 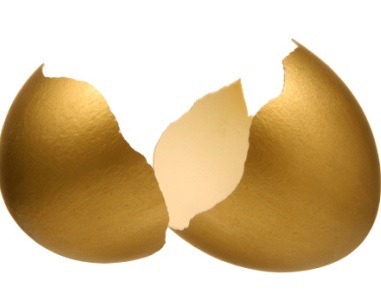 Eliminating LTC risk could make some high earners' eggs last longer. Long-term care (LTC) costs could wreck the finances of many high-income Baby Boomers and members of Generation X after those consumers spend about 20 years in retirement. Jack VanDerhei, an analyst at the Employee Benefit Research Institute (EBRI), makes that prediction in a set of forecasts made using the EBRI Retirement Security Projection Model. See also: Boomer, Gen X retirement readiness get a boost. VanDerhei tried to predict what would happen to the retirement nest eggs of Boomer and GenX households under a variety of conditions. The EBRI model gave VanDerhei tools to analyze how the households might deal with “stochastic risk” — the somewhat hard-to-predict threat of needing long-term care, either in a nursing home or in the family home — as well as everyday, “deterministic” expenses and ups and downs in returns on retirement savings. VanDerhei broke up the sample into four categories based on how much the households were earning at retirement. Assuming the households had to handle 100 percent of ordinary expenses and 100 percent of LTC costs, and they were not eligible for help from Medicare or Medicaid with paying the LTC bills, about half of the households in the bottom quarter in terms of income would probably start running short of money after just one year in retirement, VanDerhei estimates. See also: Products Baby Boomers need most, even if they don’t know it. In the category for households with moderately low income — households in the “third quartile” — 10 percent could run short of money after two years, and 45 percent could run short after about 20 years, when the retirees were in their mid-80s. In the “third quartile” — the category for moderately high-income households — 10 percent would run short after about 12 years, and more than 25 percent could run short after 25 years. At that point, the retirees would be in their 90s. VanDerhei also analyzed the prospects of households in the top-quartile in terms of income. Those households might be most likely to be able to pay for long-term care insurance, annuities or other LTC funding products today and the least likely to qualify for government LTC financing programs when they are old. VanDerhei found that about 85 percent could reach the age of 100 without running short of money — but his model showed that about 5 percent could start to run short after 15 years, when the retirees were about 80. By the time the high-income retirees were 87, 10 percent could be running short. A program that paid the full cost of LTC expenses could cut the risk of second-quartile retirees running short of cash by age 100 to 6 percent, and the risk of high-income retirees running short to just 1 percent.